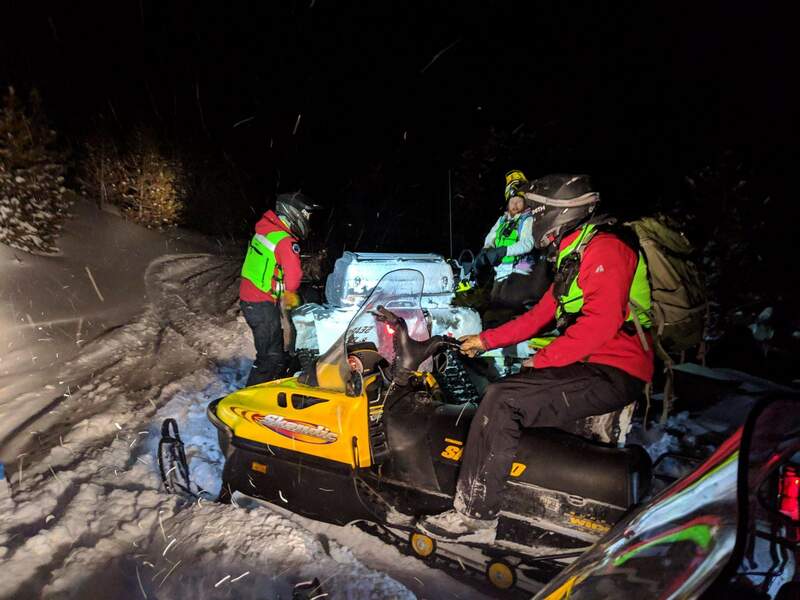 (Gallatin County, MT) At 7:15 pm on January 24th, the Gallatin County Sheriff’s Search and Rescue responded to Olsen Creek, off Bridger Canyon Road, for a missing snowmobiler. The reporting party said that he and a friend had been riding up Olsen Creek Rd. when his friend decided to drop into a ravine off the edge of the road. He said his friend seemed to be having trouble getting back up to the road. Eventually the reporting party could no longer hear his friend’s snowmobile and since it was getting dark, decided to ride out and call for help. 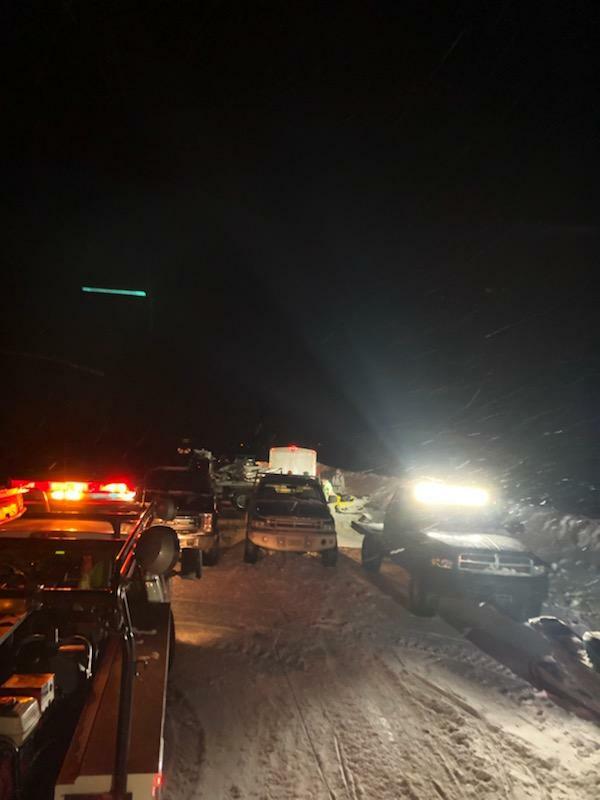 Gallatin County Search and Rescue members from the Posse and Alpine teams responded to the area with snowmobiles and skis. They met with the reporting party, who escorted them to the location where his riding partner had dropped into the ravine, 6.5 miles up Olsen Creek near the Canyon Creek drainage. Skiers were able to follow the snowmobile track to the stranded rider, who was uninjured and in good spirits. He had started a campfire and was prepared to spend the night. The stranded rider was assisted out of the ravine by the team and all parties made it safely back to Bridger Canyon Rd around midnight. Photos courtesy of Gallatin County Sheriff’s Office.